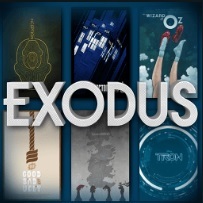 Exodus is a Fork from the once popular Genesis Addon that has been updated to version 8.0. The steps are at the bottom of the page to install Indigo if needed. Is there any way I can sign up for updates to this article? The rebels address for the repository changes too fast for me to keep up with. I usually don’t check this page until my add on stops working, and then I have to go update it. It would be nice to know when I needed to do that. 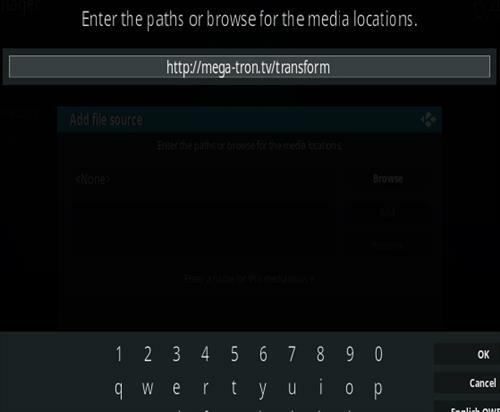 Try the new Mega Tron link. Worked for me. 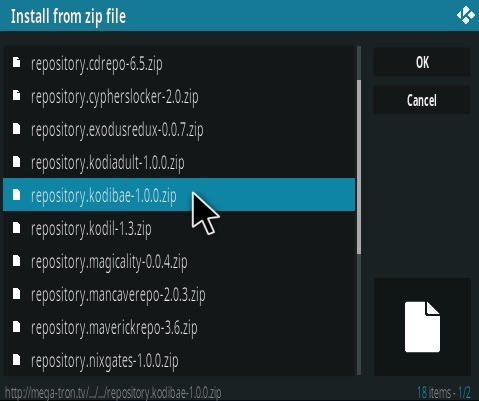 === thebackup1..0.0 ===== and secondly ====== script.module.exodus3.1.3 and lastly ======= the Repository2.0.0 ======= it DOES install AND works ! All of these files are on a well know site, just Google the name and/or app . (When installing Repo2.0.0 it needs repo.thebackup, but it fails to install. I have tested Exodus on my 3 devices(newest Kodi, Old Kodi, and PC with newest Kodi) ans all is well again ! you can find all of these files AND the original REPO(S) on github browser, search for the name of the developer (kodibae). All software is present in the repo from the owner of Exodus, please use google and or Github browser. Also the Exodus Repository 2.0.0 is listed in the active or present list of repos ánd when opening this repo all off the software is present ! Offcourse is Exodus 8.0.1 now working perfectly ! Sorry, NOT Exodus Repo 2.0.0 BUT kodibae REPO 2.0.0 ! since yesterday new updates, Exodus works perfectly ! march 5th 2019. go to the original page of the developer, he has just updated all of the software ! Please UPDATE your comment on Exodus 8.0.1 !!! It is running PERFECTLY SINCE YESTERDAY (new repo3, new thebackup and new exodus.module ! People need to know that the purported “piracy attorneys” have taken over Mr Blamo Repository, and have created tvaddons and indigo. The “piracy attorneys” have put malware into tvaddons, indigo, old Exodus and Death Streams. When the “anti-piracy attorneys” put the nice founder of Mr Blamo, they hit him so hard that he had to give up his software and repository. The new malware gathers indentificatory information about us, e.g., email address, what we look at, our names, etc., which will be used later to sue and to fine us. 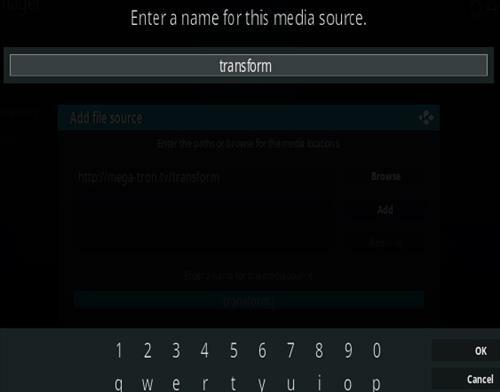 Do a search on youtube with “tvaddons hijacking rohas” to learn more about this. 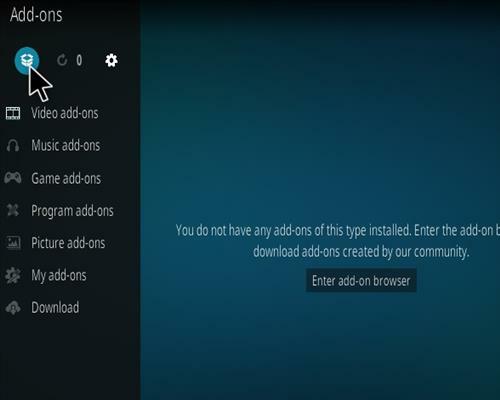 I never downloaded tvaddons nor indigo, but when the “anti-piracy attorneys” took over Mr Blamo, they rewrote updates to old Exodus to include malware, and they made sure that it was very difficult to remove the apps listed above. See for yourself. Try to uninstall those apps. Tvaddons is a honey trap; it keeps us getting us copyrighted materials, until the “anti-piracy attorneys” spring the trap. You kodi experts must be aware of what I am saying. 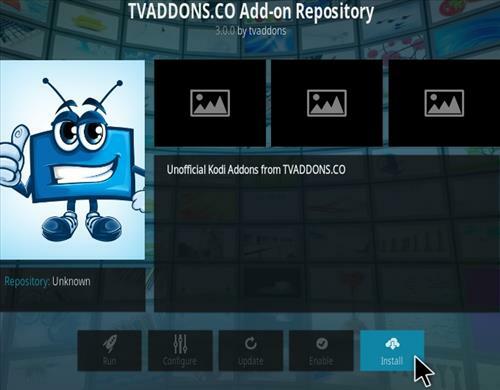 I am suspicious of tvaddons, which emphasizes re-run apps. Thanks alot, I installed the last year and came to check the add on, glad still works in my little Fire TV Stick, since Genesis Reborn is down i guess. 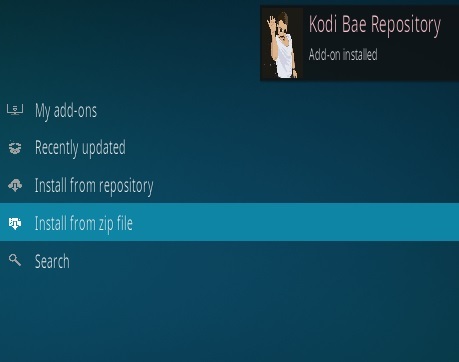 I got this error “could not connect to repository” when trying to install kodi bae repository. I even tried to install indigo first through tvaddons.co, installed with VPN on and off still has same issue. Why am I only seeing trailers?? I was in Exodus 6.0 which worked fine but showed less streaming link that it was before. Then i follwed the steps to update only it was still showing exodus 6.0 and didn’t see any much difference in the number of links its returning. So I tried to uninstall Exodus and reinstall it again. I had some issues with missing Indigo but after I added Indigo I was able to successfully install Exodus 8.0. However, the streaming links its returning is far far less than what my Exodus 6.0 has before. Even for those movies that I’ve watched previouly just before I uninstalled Exodus 6.0. When I choose links it looks like it’s going to load then says no streams available. I use real and all debrid with Exesuse for a long time no issues. Till now. Any thought. 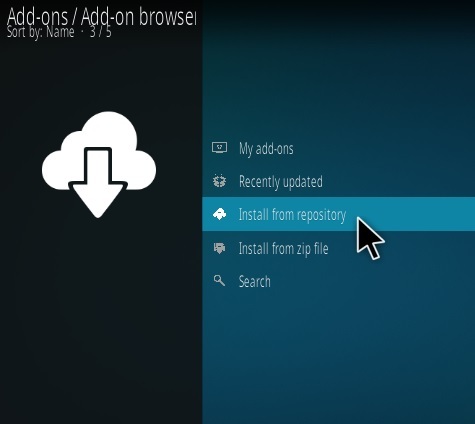 Update on your dependices error is almost there once you add tvaddons.co add-on repository. 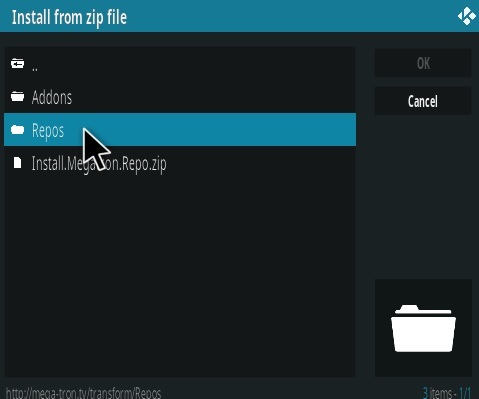 You then you must go back to repositories scroll down to tvaddons.co add-repository then program addons them install indigo. Go back install exodus. It kept giving me indigo error once I did that exodus install fine. Hope this helps good luck. Your opinion, Exodus ver.8 or Exodus Redux? Is anyone having problem with Search engine in Exodus? 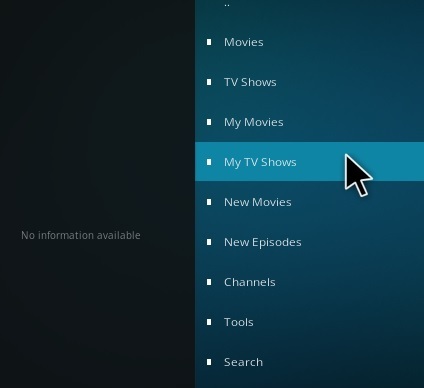 For the past 3 days , when I search for a specific Tv show somehow, the search engine in Exodus does not respond? Same goes for Yoda search engines. “www.wirelesshack.org” gives the best and easiest instructions to follow. Thank you. Omg omg! I did it all by myself and I’m not the best at technology. I usually depend on my baby brother, but he is overseas and not available. Best instructions ever!!!! Got Exodus ver 8.00, how great is that? I simpy cannot recreate step 18 above. 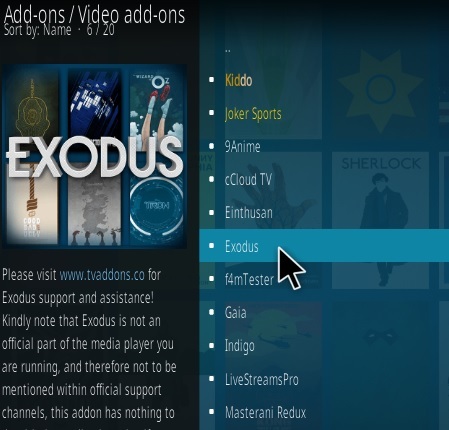 In the Video Add-ons I don’t see any Exodus add-on, just a Sport 365 add-on. What is the cause of this this ? Pls help ! I couldn’t get exodus to install after installing the dependency. Any suggestions? You guys make my day! How happy am I that people like you exist. Help, I have updated to Exodus Ver.8 and loaded RD steams. Issue: once selected RD steam, it will go through the list than show “No Steam Available”. Found the issue, VPN was blocked by Real Debrid. Switched server solved the issue. I try to clear provider and cache but it didn’t help. I notice that under provider, I do not have the option to change to exodus scaper. Thanks guys. The Indigo Dependency Error instructions did the trick. I now have exodus redux. Best one in a very long time. But you have to open lambada scraper settings. . By modules section change to all providers. That is the best add on now. Guys, thanks for an awesome addon…BUT, still having problems when its installed on Leia 18. I can’t search TV shows or Movies. After lots of searching on Google it seems the movies.py and tvshows.py python scripts need to be updated. Is this going to be fixed in the future? The Indigo Dependency is not installing with the new update. 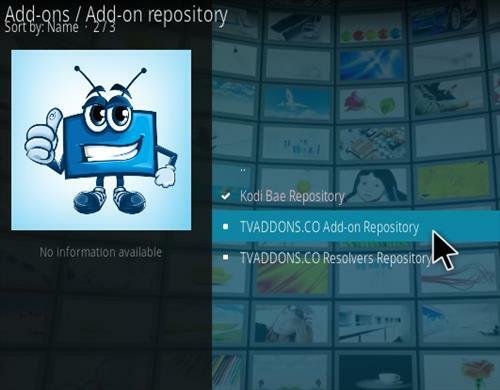 Install TVADDONS.CO Repository under Add-on Repository from Kodi Bae first until it is fixed. 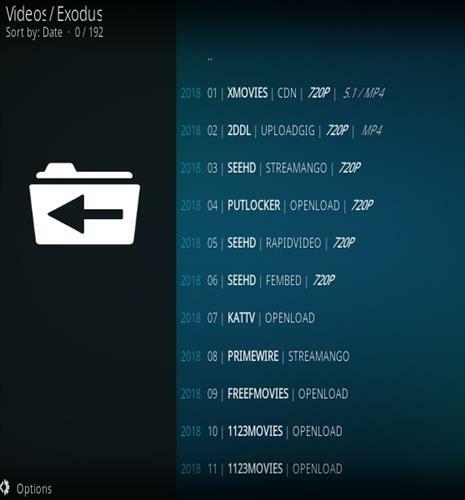 Scrapers return to “default” when kodi is shutdown. Any fix for this yet? Didn’t work at all on first install so I did fresh kodi install and exodus install and it works fine, except for the scrapers resetting on exit. Same here. 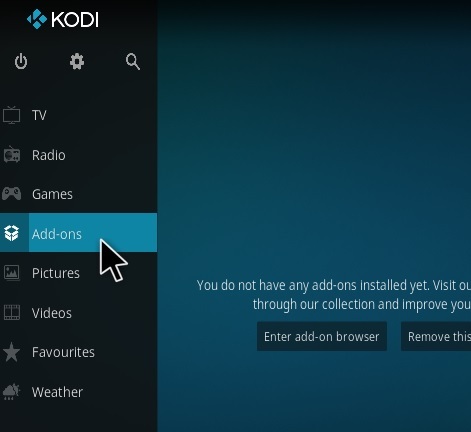 Every time after Kodi is closed it go to “default”. When I change it has a lot of links and works perfectly. Been using Exodus 7.0 with RD and it works flawlessly >95% of the time. Working great for me with hundreds of links. Ditto. After the last Exodus update, the add-on stopped working both on Android and Windows 10. Worked perfectly then turned off the android box on and off again and ‘no streams available ‘ on every movie I tried anyone else had the same ? Read the info box. Will tell you how to set up the scrapers. Default does not work. What Info box? I’ve been wondering about scraper settings, it’s the only thing I haven’t customised. I’ve done that and it works. 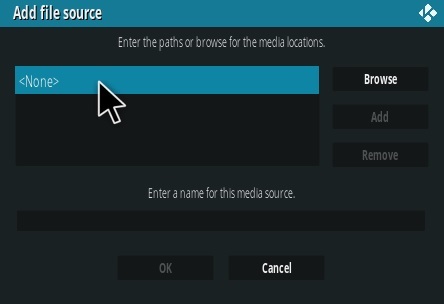 Problem is every time I exit kodi then open it the exodus scraper module is gone and provider settings goes back to default. I have to re download scrapper module every time. I can’t for the life of me get it to save the settings and not delete exodus scraper module. Same here Module goes back to default which does not work. Got fed up of re-installing scraper module, so have uninstalled until it is corrected. A pity because when working works very well. At present now using Yoda, just as good. I’ve used the tutorials on this site before, but lately I’m having problems. When I get to step 18 (install the Exodus add-on from Video-addons), the only one listed is Sports365. 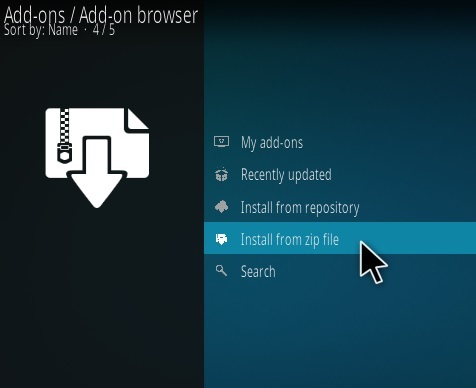 I’ve tried a few of the other popular addons from this site as well, and get the same problem at the same step (I can install from the zip file, but the proper addon isn’t listed). This was the easiest and clearest instruction set I’ve found so far. Thanks. Does anyone else find that there are no working 1080p streams available on this? I only get dead links or trailers. Yes, too many dead links, way more than the last version, and NO working HD links that I have found. I can’t ever find any streams. Easy install but nothing to watch unfortunately! I get the same results. Several streams, it looks like it is about to play, then it just stops… Anyone else having this issue? 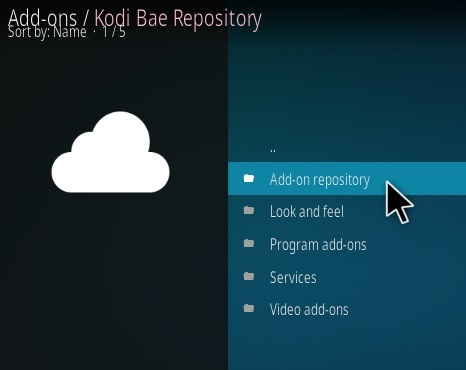 You just described every Kodi addon, Its all about finding a good link. Perfect!!!! Easy to follow and worked great! Just wondering what the new installation for terrarium tv is..if tried several different ways and can’t get it ..I’m thinking it may of been shut down and unable to use.. PERFECT!! I tried so many different Addons for example Convenant and they all did not worked. I read up on the Internet that Exodus is up and running agian and downloaded it and works perfectly. Also 1080P which is brilliant!! When i click a moviestream i only get a trailer. And no movie. Those anyone know how you fix it? Thank you thank you sooo much!!!! I missed exodus soooo much!! I am happy happy! 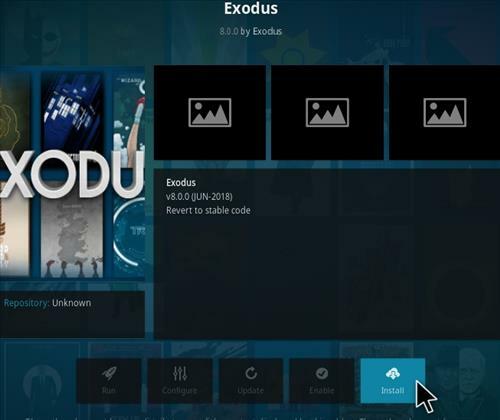 Exodus version 6 is the single best Kodi addon EVER! I have a Fire Stick 1st generation. I have the latest updates on exodus (and its forks Yoda, Magicality, Placenta, Neptune Rising, Incursion) for months. A month ago, I started to have the same problem on exodus and all its forks that I use…. It crashes Kodi when browsing the listing “New Episodes” after about 30 seconds. It looks like that something is happening in the background once the list of “New Episodes” is populated. It doesn’t matter what addon I use, it is always the same. I can browse the list “new Episodes for about 30 seconds then it locks up and crashes. I can browse “New Movies” and settings etc… and nothing happens, only on “New Episodes” in the Exodus forks. Kodi totally crashes. I have looked in the logs and there is nothing in there of note, I have done the usual, fresh install of Kodi, cleared the cache and providers etc but it still happens on all Exodus forks. I have even uninstalled most add ons and just left exodus and it still happens. I have the same Kodi install on Windows where this doesn’t happen. I have searched everywhere and cannot find anything about this issue. I hope I can find a solution for this. 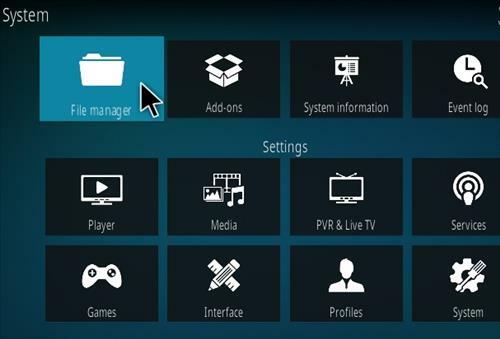 Did you try reset your Kodi to manufacture settings??? 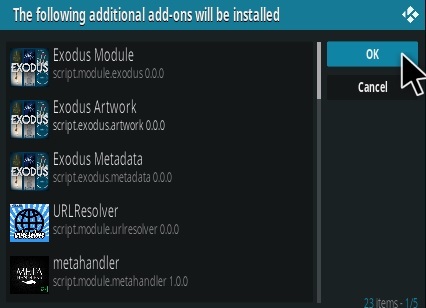 Exodus after installation , Nothing is listed, any thoughts please. Pretty impressive, loads right over an old Android version – seamless. Reset everything and try again, doble check your writing, that’s what I did. This happened to me too, can anyone tell us what to do next? There are several Exodus version. Uninstall the old one (Unless you want it) and install the new one. I got dependency fail too. Now what????? Please help! Same for me, multiple top addons from the Nov 2018 list fail to install a dependency. Other addons get installed fine. 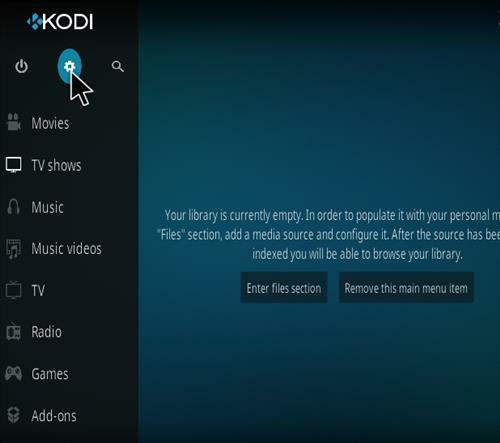 if you cant get to the system file you are soooo screwed kodi is going to be sooo bad . as it is im in there changing apps every 2 weeks now looking for something that works right. and im still looking none of them are what it was a year ago. so get one of your friends to come over and show you how to put apps on and off . you are going to need to no this if you wont any kind of tv from this thing. and learn how to uninstall kodi and put a fresh copy on. 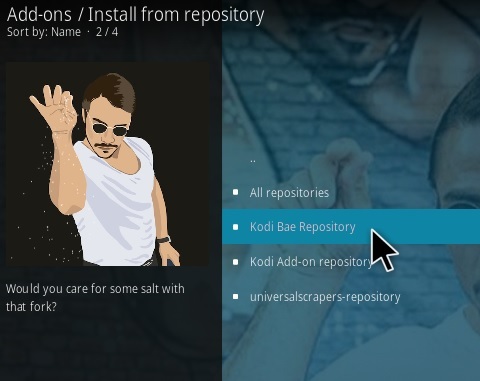 Install the Kodil repository. You can also install tknorris, but this repository is empty… so go back to step 16 and then select Kodil. then select video add ons. Then scroll down past all of the arabic looking stuff. If you scroll far enough, you will see exodus. FYI, Covenant and Elysium are pretty good too. step #19 does not work. it says download at 0% not sure whats going on. everything worked fine until that step. Did everything but Exodus is not on list. 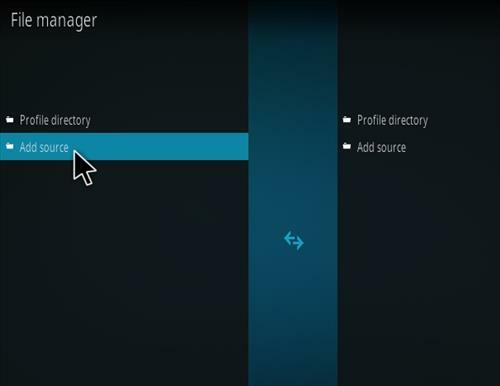 From kodI how do I get to settings page? Link works great for Exodus! 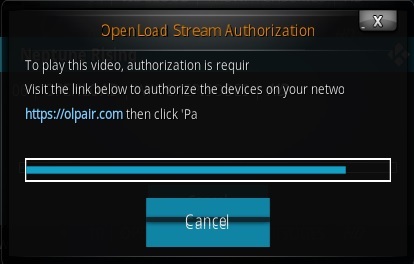 Old link I was using would always give me “No Streams Available”. Thanks for the info! People who are writing about video quality…if you watch movies under the “Theaters” category, you will be watching a CAM video. Qualities going to be bad if it’s not available in stores. Works great for me. I’ve tried others and nothing working. Great for watching other than new releases on demand. How did you get it to work? We just tried and it failed. I did all this and Exodus is installed. However it works like garbage. Everything I try to watch almost every source has a pop-up looking for stream authorization directing to some website, which I don’t trust to do, and the sources that do actually bring up a show, the quality is absolute disgusting. The videos shake and vibrate and the audio is messed up. And it won’t work if I try to cancel on the specific download to stop the video. Then it basically gets frozen on that screen, so I never have the opportunity to return back to the main screen of exodus and search for a different program. You spelt the web address wrong then. Go back to that step and readd the source url and spell it correctly this time.